Do you represent a corporation, foundation, or donor-advised fund that wants to make a difference? 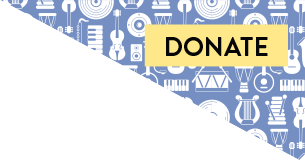 Consider making an investment in the SpreadMusicNow fund. We invite corporations, foundations, donor advised funds, and individual philanthropists to donate to the SpreadMusicNow Fund. Donations may be made as either general (to support the overall fund) or targeted to specific strategic priorities or organizations. Donors may choose to publically associate with SpreadMusicNow and participate in coordinated digital marketing. Alternatively, we welcome donors that wish to remain behind the scenes or anonymous. Donations may be eligible for an additional matching grant from BeFoundation. To learn more about making an organizational or philanthropic investment in the SpreadMusicNow fund, please contact executive director, Richard Wenning at rich@spreadmusicnow.org.